A veterinary pharmacy like no other. A safe, secure pharmacy that acts as a virtual extension of your practice’s inventory. Vetsource®’s human-grade institutional pharmacy is licensed and meets or exceeds the regulatory requirements in all 50 states. Our website is .pharmacy-certified by the National Association of Boards of Pharmacy (NABP), and we are inspected regularly by the Oregon Board of Pharmacy. Vetsource is licensed to dispense prescription products across the U.S. In the past, the role of pharmacist in the veterinary world was almost nonexistent, which deprived vets of the ability to consult with a licensed professional that was afforded to their human physician counterparts. But with Vetsource’s skilled team, veterinarians now have the ability to confer with experts like never before. 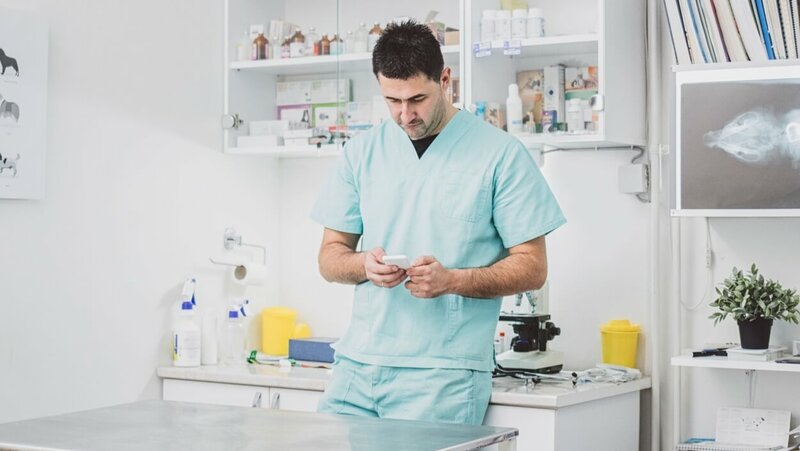 And to ensure that our staff remains on the cutting-edge, we developed our own veterinary-focused pharmacy training program and drug-interaction database to guarantee that our team’s level of competence remains unmatched in the industry. Vetsource processes approximately 135,000 items per month, and our pharmacists are involved every step of the way — reviewing each prescription, following up with practices, checking the quantity and expiration date of each medication, and confirming it is for the appropriate species. Our pharmacy technicians support each pharmacist by performing dispensing tasks with an exceptional attention to detail. As a result, we are able to maintain an error rate of less than 1 in 20,000 items shipped, or .005%. By comparison, a 2003 study of 50 human pharmacies in 6 cities across the U.S. conducted by the Journal of the American Pharmaceutical Association revealed an error rate of 1.7% — 340 times higher than our pharmacy.